Since our demo of Creed: Rise to Glory at E3 earlier this year, a few key things have changed for the upcoming boxing title. First of all, the game will release to VR arcades across the globe, and most importantly, the title now has a release date set for this month. 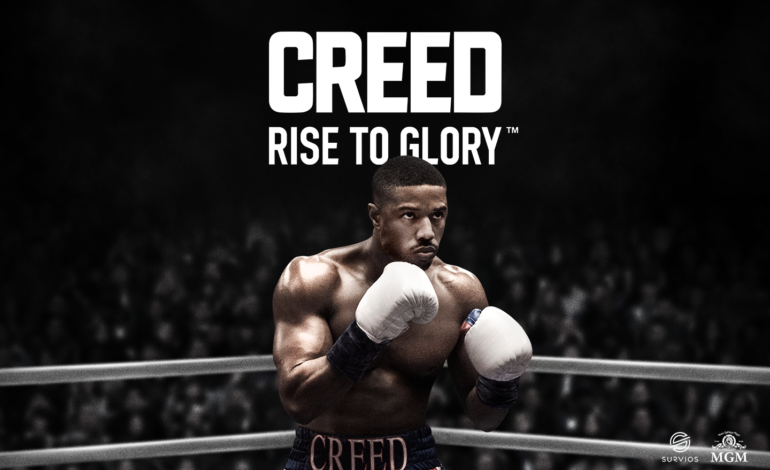 In Creed: Rise to Glory, you play as Adonis Creed as he climbs the ranks to become the pound-for-pound boxer that his father once was. Set in the Rocky universe, player will be able to train in VR with the titular Rocky Balboa in order to participate in exhilarating boxing matches to climb the ranks, set their own parameters to give themselves a customized boxing challenge, or even just participate in their very own training montage. With an exciting and addictive, fun premise, fans of Rocky, Creed, boxing in general, or VR thrill seekers will have a field day with the title. However, one major obstacle with the upcoming title is the fact that you will need to own a VR setup in order to play. To circumvent this issue, Survios will be supplying Creed: Rise to Glory to over 5,000 VR Arcades across the world, as stated in a provided press release. In addition, PvP will be a feature within the game, so being able to go toe-to-toe with someone in VR, while also having your opponent across from you, will put an interesting new spin on head-to-head fighter games. Creed: Rise to Glory will launch September 25. You can also pre-order the game right now for a 10% discount, and if you pre-order the title on the PlayStation 4, you will gain access to some exclusive theme and avatar pack based on the game. In addition, when the upcoming Creed II film hits theaters in November, new fighters will be announced that you will both be able to play as and against.